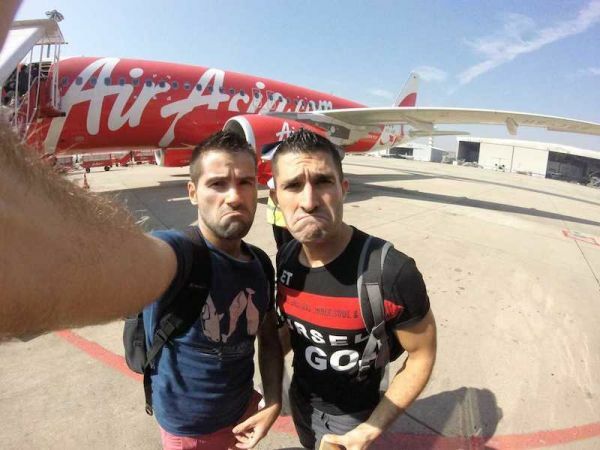 We took a break from travelling for a month in Bangkok as a base to spend Christmas and plan travels for 2015. We stayed for a few nights at the excellent Lub'D Hostel and then rented a condo (with gym and swimming pool) in the suburbs via Air BnB. Our first destination in 2015 was Myanmar, a country which only recently started to open up to tourism and is still doing so. 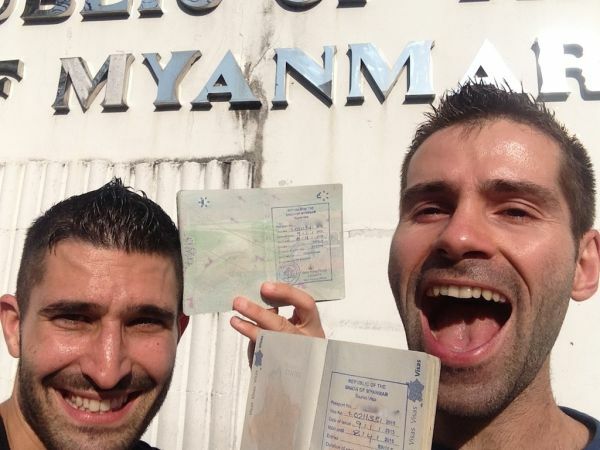 Visa on arrival is still not fully available so we had to apply for our tourist visa for Myanmar before arriving. We also had to ensure we had crystal clear perfect new dollars ready for our trip. 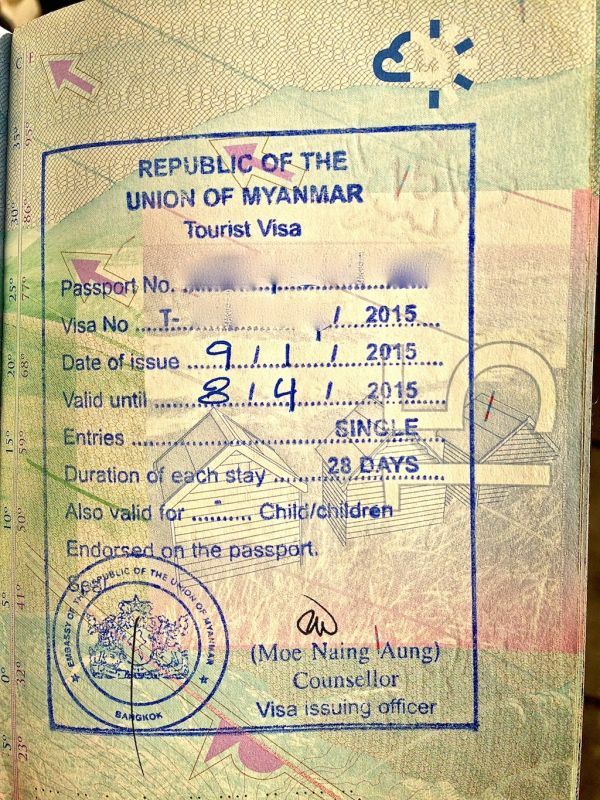 You can apply online for an e-visa for $50 (around £33), or go in person to the Union of Myanmar Embassy and get it cheaper (810 bahts: around £16/$24). The tourist visa is valid for 28 days and is for a single entry. It is valid from your first visit to the Embassy and expires after 3 months from this date. The process involved 2 visits to the embassy, over 3 business days, unlike our experience of getting an Indian visa in Kathmandu, which took a bit longer. We couldn't find comprehensive information about whether evidence of entry/exit was required. We met other travellers who didn't bother with this and still got their visa without any problems. We got there just after 8am and there were around 40-50 people in front of us. Once the doors opened, we collected the application forms and filled them out whilst waiting in the queue. 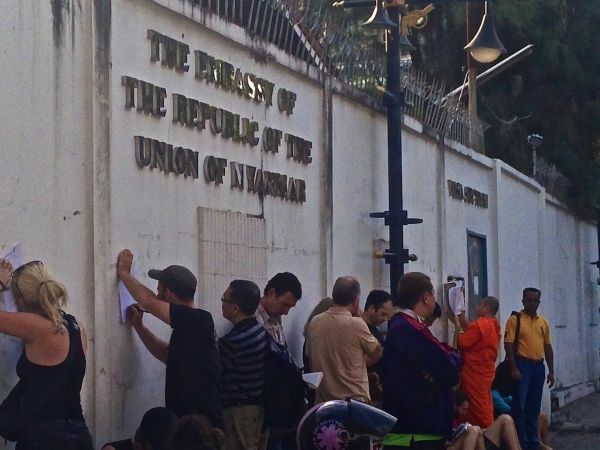 The Union for Myanmar Embassy has a copy of the application form online, but you can just complete it on the day like we did. On the application form you’re asked details of your current and one previous job roles: they don't like “reporter” or “journalist” related roles so if relevant, we were advised to use “consultant” or “unemployed” instead. Once in, we submitted our papers and given a ticket number. We waited a further 20 minutes for our ticket to be called. At the second counter, we paid our 810 bahts fee each, given a receipt and told the day to return and collect our passports (we went Friday and told to come back the following Tuesday). The second visit was to collect our passport with visa. 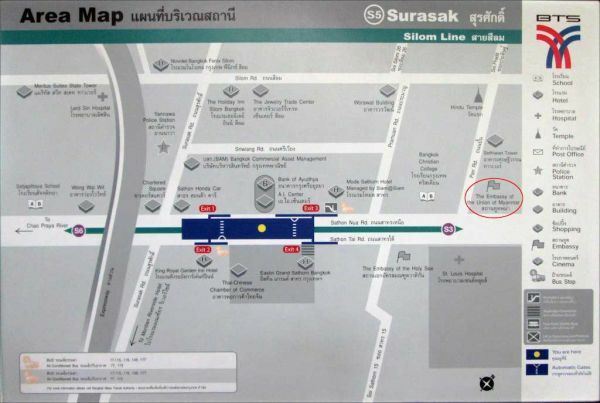 The pick up time is 3:30-4:30pm and the queuing was more chaotic this time. We got there just after 3pm and there was a large group already waiting. Note that as of July 2017, the cheapest (non-express) option costs 1600 Bath, so you are probably better off doing it online. Noted! Thanks for that Pim. Is that for all nationalities? Thanks for the info! I have read in older blog posts that if you pay more you can get express same-day service. Did you guys notice whether you had that option as well? Sure did- and can be done online too. Tank you so much for writing this post. Great tips! Thanks for the helpful article! 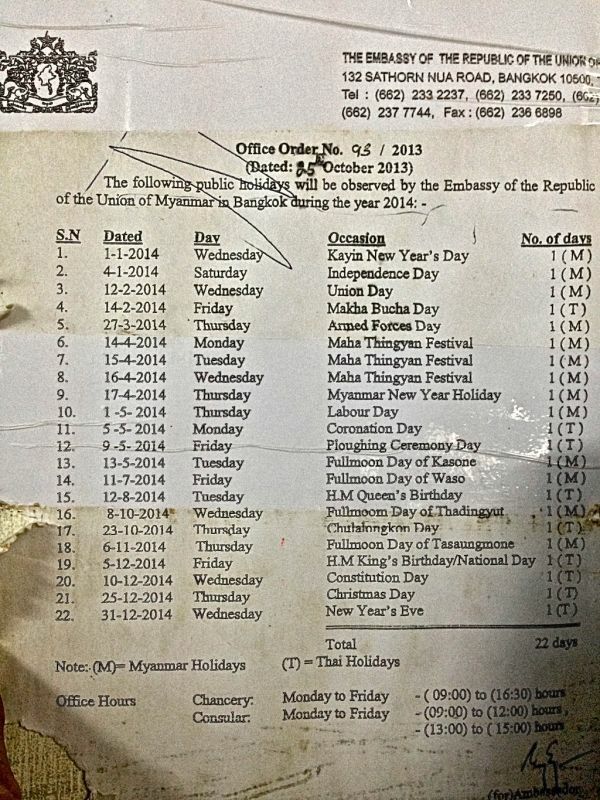 We are planning on going to Myanmar in about 2 months and need to sort out all the paperwork first. Thanks again! Just watched a documentary on Myanmar. Did you fly to Yangon? Are the civil wars currently going on? Lord no- all of that ended a few years ago. Yangon is like another large modern South East Asian capital city. We left Myanmar / Burma from Yangon. I recommend watching the excellent Luc Besson film called The Lady – about Aung San Suu Kyi, the popular opposition leader. Good can’t wait to visit. We had read somewhere that after the government was taken over that there have been conflicts but I know it’s not that dangerous. I know their capital changed back in 2005. Noted! Will watch out for that one thanks buddy.